Columbia, Mo. (June 8, 2016) — The Missouri School of Journalism has announced the six recipients of the prestigious Missouri Honor Medal for Distinguished Service in Journalism. The three individuals and three organizations will receive their medal during a banquet on Tuesday, Oct. 18, on the University of Missouri campus. Medalists are selected by the faculty of the School on the basis of lifetime or superior achievement in journalism. The Missouri School of Journalism has awarded the Missouri Honor Medal for Distinguished Service in Journalism annually since 1930 to outstanding journalists, advertising and public relations practitioners, business people, institutions and media organizations from around the world. Among them are Tom Brokaw, Christiane Amanpour, Sir Winston Churchill, Gloria Steinem, Deborah Howell, David Granger and Gordon Parks. During the day the medalists will present master classes on topics related to their areas of expertise to Missouri School of Journalism students and other guests. The AAF Mosaic Center for Multiculturalism implements all of the American Advertising Federation‘s (AAF) multicultural and diversity initiatives and is an established leader on multicultural marketing/advertising and inclusion issues. The Center’s mission includes the development of new programs and services to recognize and develop diverse talent and promote broad and realistic portrayals of multicultural communities. The AAF Mosaic Center is an integral part of the AAF’s work as the “Unifying Voice for Advertising” and operates a host of programs and initiatives, including the Most Promising Multicultural Students (MPMS) Program, which boasts over 850 alumni spanning the program’s 20 years, many of whom hold leadership and senior leadership positions in their respective organizations. Others are the Mosaic Council, Mosaic Awards, Mosaic Career Fairs and an array of research surrounding diversity and inclusion. Rich Clarkson has been named by American Photo magazine as one of the 50 most influential individuals in American photography. His storied career includes stints at the National Geographic Society, The Denver Post, The Topeka Capital-Journal in Kansas and Sports Illustrated. 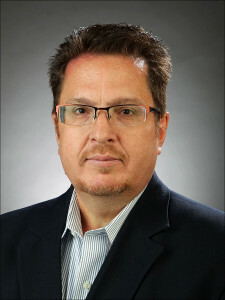 He founded Denver-based Clarkson Creative in 1987 for the creation and management of unique projects based in various uses of fine photography. He organized the photographic coverage of the Munich and Montreal Olympics for Time magazine, the Moscow Olympics for Sports Illustrated and for the Atlanta Olympic games. His company does all the photography of the 91 national championships of the National Collegiate Athletic Association. Clarkson chairs the National Press Photographers Association’s Council of Presidents. He has co-authored six books and among the 15 books his company has packaged is Brian Lanker’s “I Dream A World,” portraits of America’s great black women, which became the best-selling trade coffee table book in American publishing history. Clarkson has been a Pulitzer Prize juror, a lecturer in a variety of venues from the International Center of Photography in New York City to the Sasakawa Foundation in Tokyo. He organized NPPA’s 50th anniversary celebration including a rededication of the Iwo Jima Memorial in Washington with a week-long series of events. He has been honored with many awards, including the William Allen White National Citation and Medal, the Kansas Sports Hall of Fame, and the Naismith Memorial Basketball Hall of Fame, the first-ever photojournalist to be included. Tony Messenger is the St. Louis Post-Dispatch’s metro columnist. He joined the Post-Dispatch in 2008 as a capital correspondent and political columnist in Jefferson City. In 2011 Messenger joined the editorial page as a writer and then served as the editorial page editor from July 2012 to September 2015. Previously, Messenger was editorial page editor at the Springfield News-Leader for two years and city editor and metro columnist at the Columbia Daily Tribune from 1999 to 2006. He began his career at a small weekly newspaper in Colorado, where he was born and raised. Messenger has worked in Colorado, Arizona, Nebraska, South Dakota and Missouri at weeklies, dailies and magazines. Messenger has received some of the industry’s highest honors and recognitions. In 2016, he was awarded a National Headliner Award for editorial writing, and he swept all three top places in the opinion writing category in the Associated Press Managing Editors contest in Missouri. In 2015, Messenger was a Pulitzer finalist for his series of editorials on Ferguson and won the Sigma Delta Chi award for best editorials of the year, given by the Society of Professional Journalists. In 2014, he won the Burl Osborne award for editorial leadership presented by the American Society of News Editors and the Walker Stone editorial writing award presented by the Scripps-Howard Foundation. Messenger has won many other state and regional honors for his writing. As co-president and chief creative officer of The Hollywood Reporter-Billboard Media Group, Janice Min leads two of the most powerful and prestigious brands in entertainment media. The Hollywood Reporter and SundanceTV partnered together in 2015 to co-produce and broadcast “Close Up With The Hollywood Reporter,” an original non-fiction series featuring panels with potential 2015 Emmy nominees. Min helped grow Billboard’s social reach to 10.6 million social media followers, making it a Top 10 U.S. Media Publisher in 2015. Billboard is now the leading brand on Twitter, surpassing NFL, ESPN, Buzzfeed and MTV in engaged social actions. 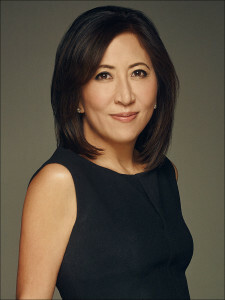 A graduate of Columbia’s Graduate School of Journalism, Min has been named Adweek’s Editor of the Year and has received the National Arts and Entertainment Journalism Luminary Award for Career Achievement, Columbia Journalism School’s Alumni Award, and the 2016 New York Women in Communication Matrix Award. POV (a cinema term for “point of view”) is television’s longest-running showcase for independent nonfiction films. POV films are known for their intimacy, their unforgettable storytelling and their timeliness, putting a human face on contemporary social issues. POV has premiered 14-16 of the best, boldest and most innovative programs every year on PBS – now numbering more than 400 films – to public television audiences across the country since 1988. POV films have won every major film and broadcasting award including 34 Emmys, 18 George Foster Peabody Awards, 12 Alfred I. duPont-Columbia Broadcast Journalism Awards, three Academy Awards, the first-ever George Polk Documentary Film Award and the Prix Italia. The series continues to challenge the notion of television as a one-way medium by creating pioneering models and innovative broadcast-related projects designed to maximize television’s potential. “Talking Back” is a hallmark of POV, which completes the broadcast loop by featuring viewers’ responses to their broadcasts. POV Digital harnesses the interactive potential of the Web as a medium that encourages dialogue and participation. POV’s Community Engagement campaigns build new audiences through partnerships between public television stations and community groups, broadening public debate and fostering community-based activities around issues represented in select programs. Politico is a global news and information company at the intersection of politics and policy. With publications based in Washington, D.C., New York and Brussels – and various state capitals in the United States – Politico has one of the most robust and rapidly expanding roster of journalists covering politics and policy in the world. Since its launch in 2007, Politico has delivered journalism about politics and policymaking that is more authoritative in its sophistication and nonpartisan perspective than any competitor; that is more useful to people with a professional interest in public affairs; and that is more fun to read for a community of people who love the drama and sheer sport of politics. The central mission of Politico, from birth to its current period of growth, has been to help sustain and vastly expand nonpartisan political and policy journalism. For its work, Politico has received many honors and recognitions. 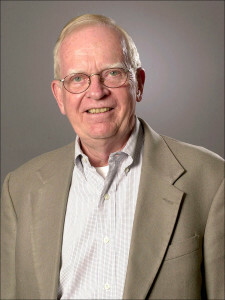 Among them are a Pulitzer Prize, the National Press Foundation’s Benjamin C. Bradlee Editor of the Year Award, National Headliner Awards, George Polk Award for Foreign Reporting, Atlantic Media’s Michael Kelly Awards, American Copy Editors Society Headline Awards and Online News Association General Excellence Awards.